Before we begin…if you aren’t that interested in the Foo Fighters posts that I write (which you should be, because the Foo Fighters are awesome! 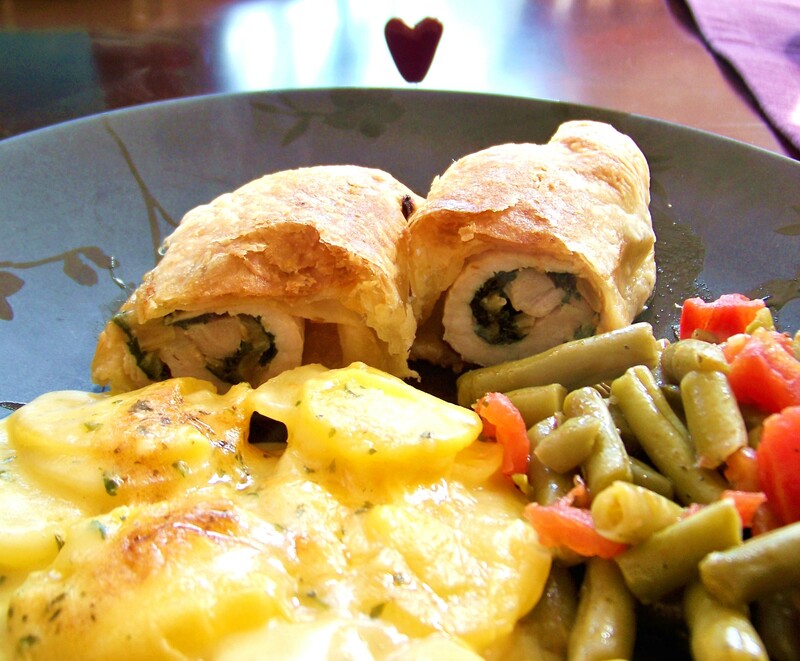 *smiles*), I highly suggest you scroll down for the recipe I created…”The Other Wellington”. There comes a time, hopefully more often than not, that we as a people are blessed with a musical genius amongst our generations. I do understand this is a matter of opinion…some people that I believe to be musical geniuses – Stevie Ray Vaughan, Trent Reznor, Jimi Hendrix, Prince, Eric Clapton, Beethoven, Ray Charles, and let’s face it…everything Timbaland touches, turns to gold. These are just a few of mine, but I certainly add Dave Grohl to the top of my mix. He’s not just a handsome face with a great head of hair to sling around fronting Foo Fighters. He can do anything! Did you know the very first Foo Fighters disc was just him? He wrote and recorded every single instrument to every single track (I think it’s minus one guitar part on one song though…just one). He truly is a musical genius that our generations should feel blessed to have around! He keeps Rock n’ Roll alive and fresh…fresh with Footos. *smiles* He is…….awe-inspiring. On one of his collaborations, he worked on remixing Puff Daddy’s song (by Puff Daddy’s request), It’s All About the Benjamins. This is hands down one of my favorite Hip-Hop/Rock mixes. Dave…you did excellent adding your touch, my friend! This week’s “Will Cook for Foo” comes from Dave’s collaboration to the Rock remix of “It’s All About the Benjamins”. Next step for you, take a second and enjoy the song…Click here for the song “It’s All About the Benjamins (Rock remix)”. On to the most amazing recipe!!! It includes Puff Pastry…get the relation to the post??? Puff Daddy and Puff Pastry…Haha! Me finds me very funny! *snickers* Don’t get upset Gordon Ramsay…I didn’t slice my Wellingtons on top! Ugh! 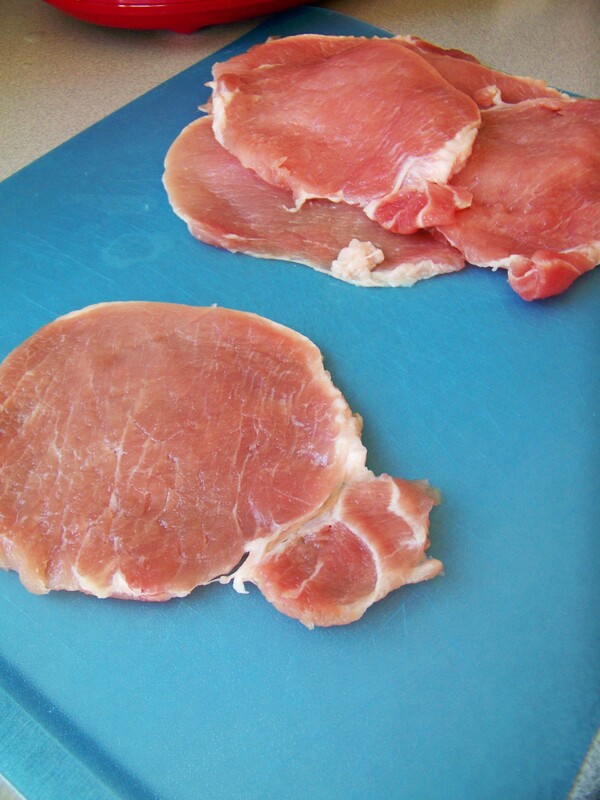 Place the pork between two sheets of plastic wrap and pound, roll, or hand press the chops until they are about 1/8 inch thick (or the best you can do). This was the first time I’ve ever pounded something thin, so I used a coffee cup to press and sort of roll them thin…I know. Meanwhile…sauté the onions, garlic, EVOO, and salt until everything is soft. 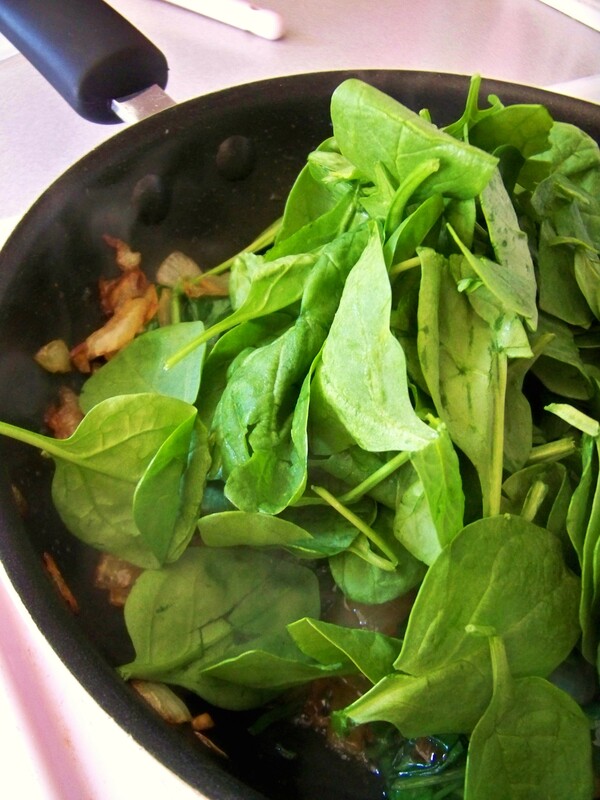 Add the spinach to the pan and toss it until the spinach starts to wilt. 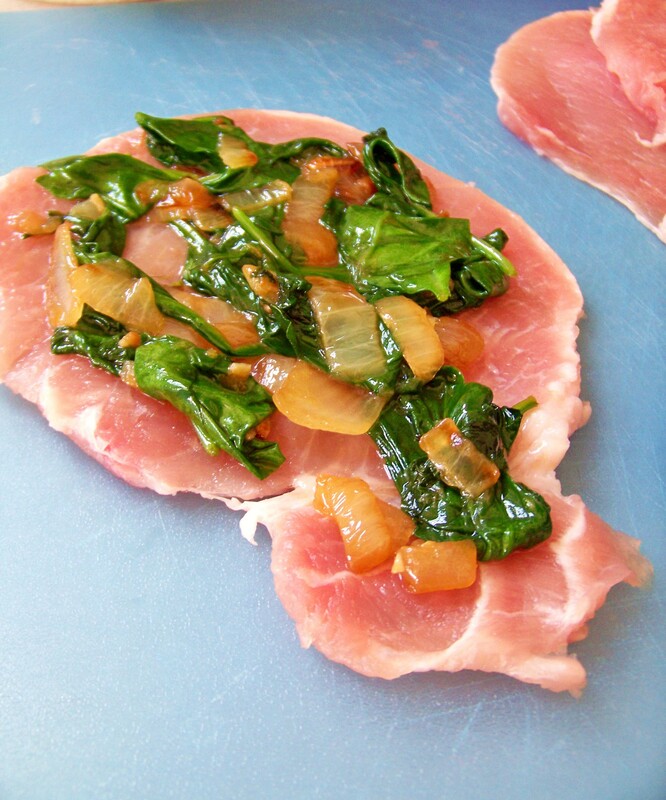 Spoon a bit of the spinach mix on your pork chop, sprinkle a little cheese, and then roll up. Set the roll on it’s seam while you complete the others. Once all pork rolls are done, put them seam side down in the pan you just took the spinach mix out of. Allow to brown, and then turn until all sides are white/golden. 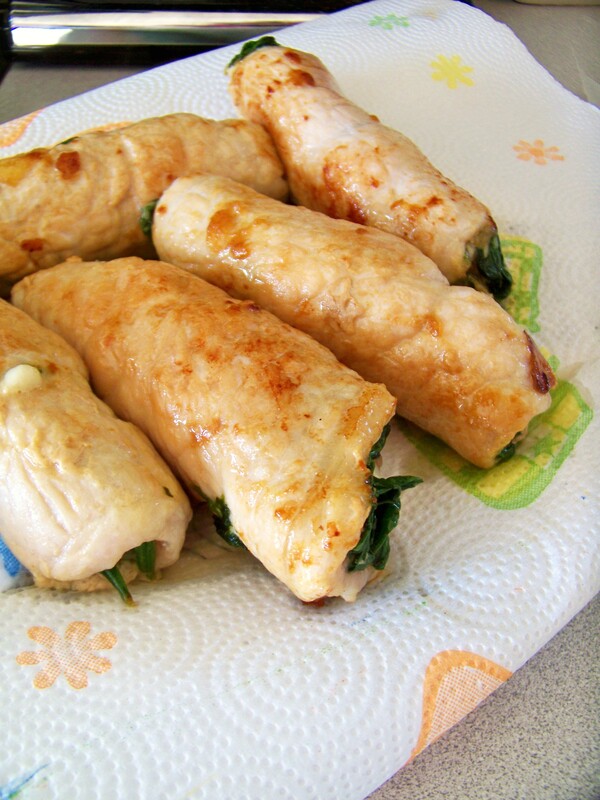 When done, pull them off and place on a paper towel to absorb any remaining grease. We don’t want that in the pastry. (You should have followed the thawing instructions on the Puff Pastry, by the way, for this next step.) 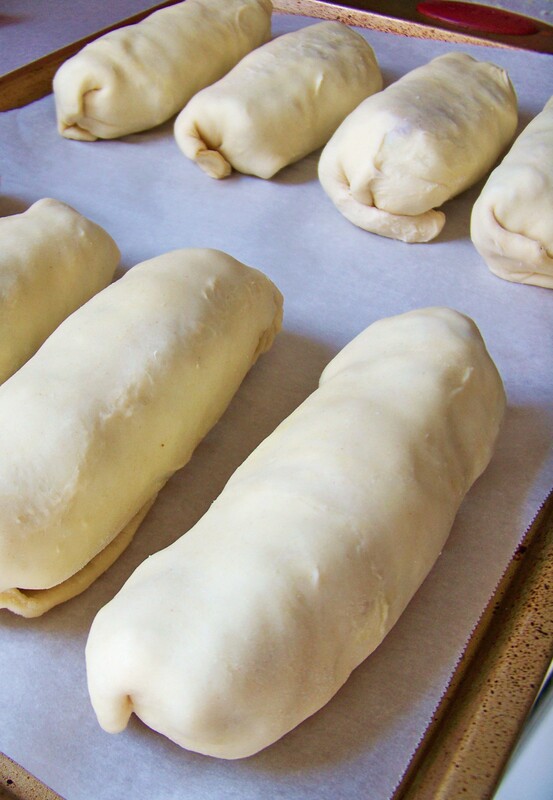 Unroll the Puff Pastry sheets and quarter them both. Lie one roll in the middle of each, and roll the Puff Pastry around each one. Try and tuck the ends in the best you can to create a sealed “pocket”. Place on a baking sheet, seam side down, lined with parchment paper or sprayed with Pam. I suggest a good 2 to 4 inches apart. Unfortunately, I didn’t do mine far enough apart, but they still turned out great. Bake for 20-30 minutes, or until golden brown. Keep an eye on them so you don’t burn them. Serve and enjoy! Previous Post Tomato Pie…I’m serious! As one of the lucky guests at this meal, I just want to say, thank you for a delicious meal!!! This recipe was wonderful!!! Please save me a seat anytime you want to make this! It was quite delicious! You guys are always welcome at my table! This sounds wonderful – can’t wait to try it. My husband, Mr. Pickyeater, may even enjoy this one. My trick to flattening meat is to put it into a gallon zip lock bag, squeeze out all of the air, seal and pound away. A rolling pin or cast iron skillet works well enough, no need for a fancy meat mallet to clutter your kitchen drawer. I’ve never used puff pastry before, so this is going to push me out of the comfort zone (always a good thing). Thanks!! And this whole creating things by making puff pastry into pockets? I am down with this. I am SO down with this idea. Great recipe, great theory, YAY!